Myself, my cousins, and a few really close friends of mine are either first or second generation Americans with Ghanaian roots. What this means is, even though we were born in the United States and currently live here, we grew up mostly in Ghana and our families and childhood friends still live there. Holidays can be very difficult when your family and friends live over 5,000 miles away. Due to this we ( family and friends that live in the states) usually try to return to Ghana during the Christmas and New Year season to be all together in the place we consider home. It made sense to use Hobnob for this trips because everything is in one place - Itineraries, Updates, Chats and Photos from the trip. The great part about using Hobnob for international trips is that, even though Hobnob is currently available only in the states, we were still able to use it in Ghana because we had the Hobnob app on our phone . Once the app is on your phone, all you need for it to work is wifi or data and fortunately most US telecom companies such as T-Mobile, Sprint, and AT&T now provide free international data roaming. Since everyone that was part of this trip already has the Hobnob app, we were able to communicate easily within the app similar to how celebrity television star, Rocsi Diaz, used it for her birthday trip to Colombia. I created the trip event in Hobnob in seconds and was able to put a summary of all our activities in the event description. And since things don't always turn out how we plan them, the event update feature made it easy to switch things up as we went along. 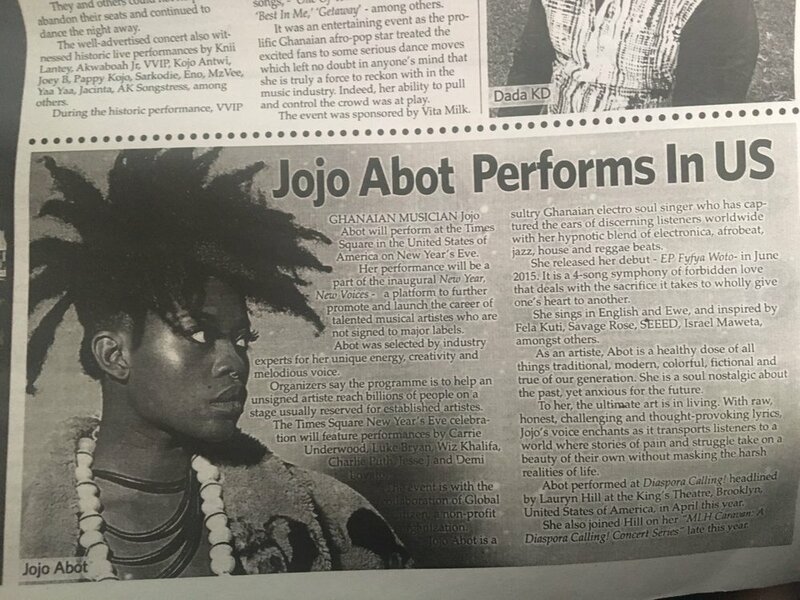 The first event we went to was the 'Sabolai' festival where fellow Ghanaian and avid Hobnob user musician Jojo Abot performed. This festival was at one of the biggest parks in Accra , The Efua Sutherland Park and it would have been impossible for our group to find each other without sending an event update of the exact location where we would meet up. On our shopping day (because every good trip has to have one! ), we decided to meet up very early at the market to avoid the crowds. 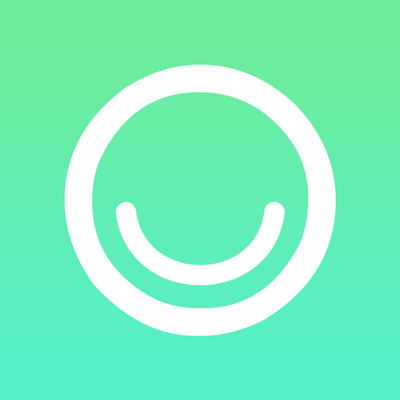 We lost almost half of our group for this activity due to difficulty in waking up so early, but Hobnob's group chat feature helped those that couldn't make it and those of us who did show up communicate with each other easily. 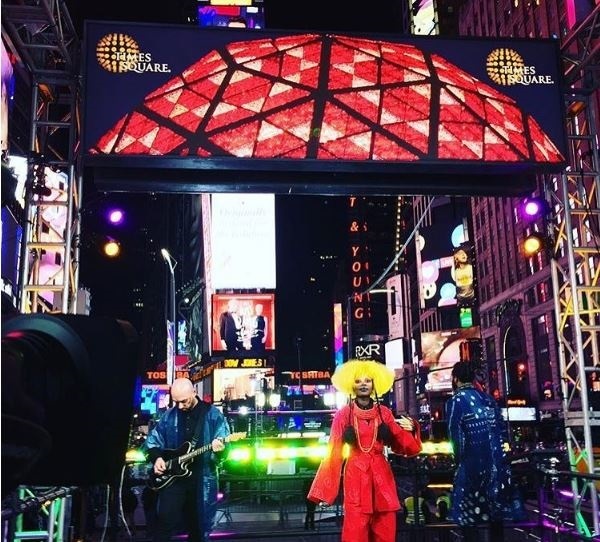 On December 27th we found out that Jojo Abot had been chosen to perform at the NYE Times Square event in New York City alongside Carrie Underwood, Luke Bryan, Wiz Khalifa, Charlie Puth, Jesse J and Demi Lovato. We decided to celebrate this news by hanging out at the Neem Grill restaurant / lounge in Accra. Since this wasn't in our initial itinerary I sent out an event update that informed everyone of the meeting location, and time. 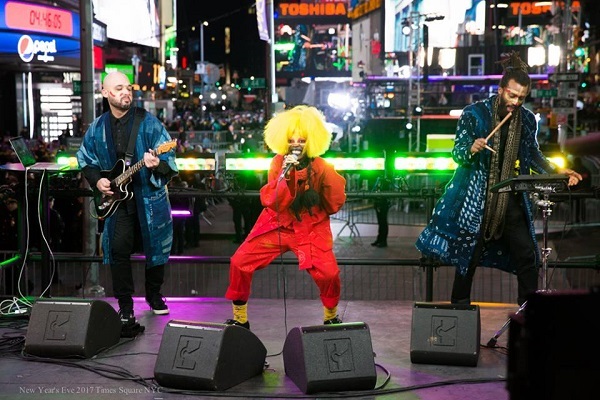 Below are a few photos from Jojo Abot's New Year's Eve Times Square performance. Our absolute favorite Hobnob feature was the photo sharing. Everyone always want to see the photos that were taken by everyone else. In the past, we would’ve shared photos via Dropbox, Google drive, iCloud etc., however none of these are as effective as sharing photos right in the event photo gallery within the app . 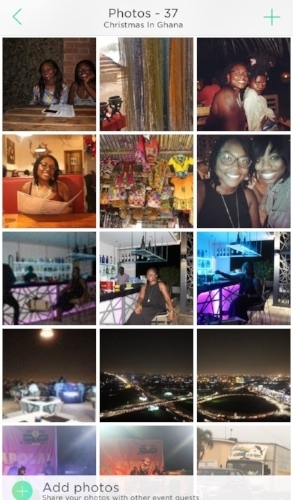 Not all our family/friends were able to make it to Ghana this time around, but I invited them to the event on Hobnob to enable them see the photos from the whole trip (and also to alleviate their FOMO). It was like they were right there along with us! It can be difficult when friends and family live far away from each other - especially during the holiday season. So, whenever it’s possible, it’s fun to get together and reunite. 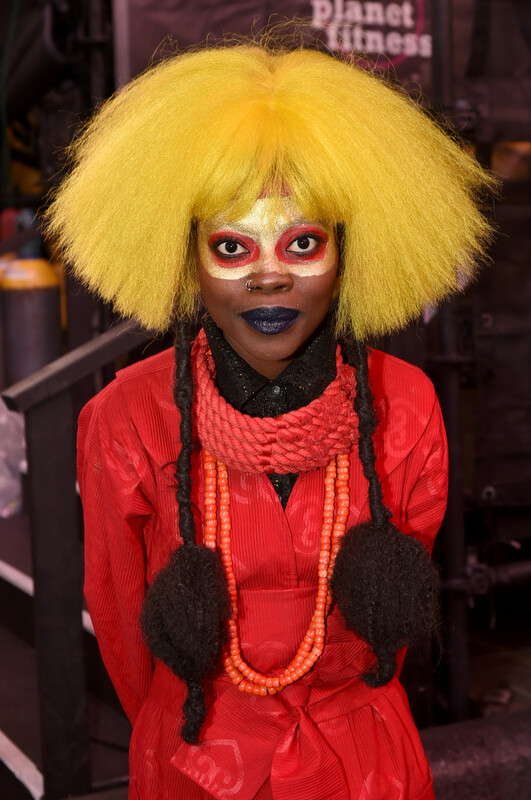 If that calls for a trip to Ghana, so be it! And now, there’s no need to stress about travel plans, itineraries, locations, etc. We love how Catherine and her friends/family used Hobnob to organize their trip and we can’t wait to hear about where they use it next!